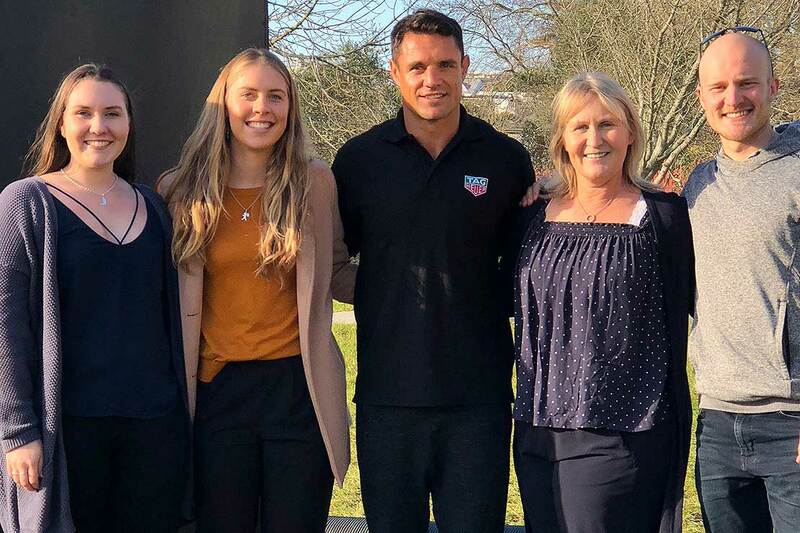 From left: iSport administrator Jaime-Lee Rogers, Postgraduate Work-Integrated Learning student Sophie Rider, former All Black Dan Carter, iSport national manager Ness Rogers and iSport ambassador and Olympic rower Toby Cunliffe-Steel. Work-Integrated Learning (WIL) opportunities in the sport industry continue to lead to employability for graduates from Massey University’s School of Sport, Exercise and Nutrition. Recent examples are in the multi-disciplinary area of sport development, which plays an increasingly important role in the initiation, support and promotion of sport and physical activity at the volunteer, club, regional and national organisational levels, from grassroots to the elite level. 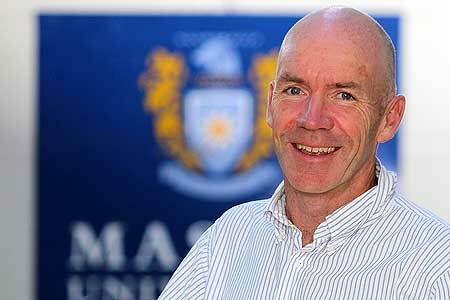 Professor Andy Martin, who received a National Tertiary Teaching Award this year for sustained excellence in supervising WIL students over the past 25 years, says there are now an extensive number of Massey graduates employed in sport development roles in the industry, which provides a significant network and community of practice. Bachelor of Sport and Exercise WIL student Melissa Hansen undertook a placement with Wairarapa Cricket earlier this year and has since taken up the role of women's development officer. “The practicum has given me great insight into the work that goes into organising and running a non-profit organisation. I was able to develop a good reputation and relationship with a wide range of stakeholders,” she says. Final year undergraduate student Alysa Darby has been working with Central Football in a range of sport development roles including futsal coaching in schools, coordinating tournaments, and delivery of holiday programmes. She has just been appointed as the community engagement assistant for the Wellington Phoenix Football Club. Postgraduate WIL student Sophie Rider has been working with iSPORT in Auckland and will start as North Harbour’s hockey development officer next month. “The practicum built my self-confidence around leadership, backing my opinions and decisions, and how to self-manage my time and prioritise tasks. It gave me understanding of the requirements for planning and running a major event and networking opportunities for employment after university,” she says. Graduate Bridget Marston recently started in Wellington Cricket’s female development role, and current student Amy Johnson is working with Manawatu Cricket, as its women’s community coordinator. Both gained extensive work experiences whilst volunteering with Manawatu Rugby during the Turbos season, as part of their study. Professor Martin, who supervises the various sport event, programming, promotion and coaching students undertaking the placements, presented findings from a decade of WIL sport student feedback on their learning outcomes and overall experiences at the World WIL conference in Stuttgart earlier this year, and also presented at the Australian Cooperative Education Network conference in Brisbane. His research, in collaboration with Malcolm Rees, manager of the Student Survey and Evaluation Unit, and funded by Ako Aotearoa, has highlighted the added value of these programs in enhancing graduate attributes and employability. “Resources developed focus on supporting students and supervisors to develop a greater depth and breadth of learning through the reflective journey of the WIL experience to enhance their employability,” Professor Martin says.